Reblogged this on Poems From Oostburg, Wisconsin. Matt my dear sister and friend Ellen share this wonderful photo on her site, and it instantly sparked feelings of joy within me, I just want to let you know that. In an early morning moment of quiet time. You photo made me smile with delight…thanks for sharing my brother! I shall and will visit you again! Have a wonderful weekend! Wow! I think you just captured how I feel about Christmas. Chaos, joy, brightness, overwhelmed, full, rich, overflowing, amazement, busy beyond reason. 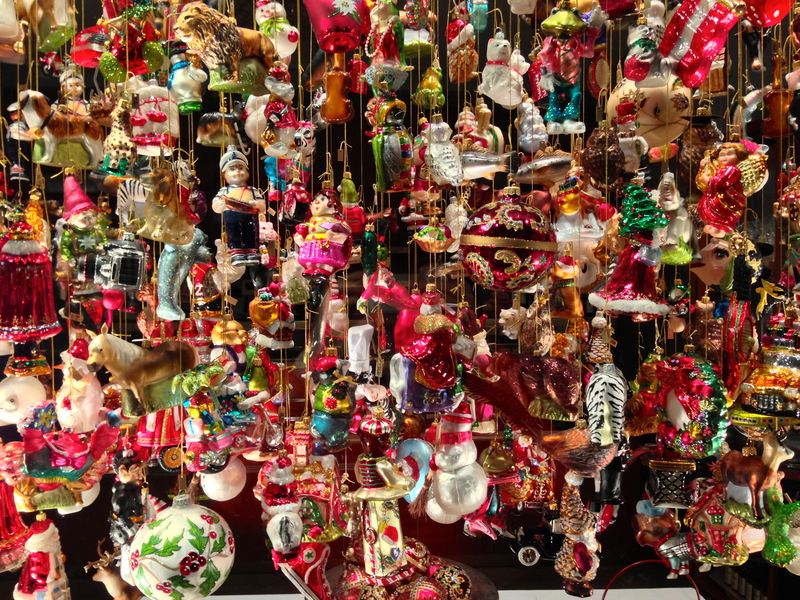 The picture explains well about Christmas- colors, glitters, character of each ornaments. Ohh, what an exciting feeling, so full of happiness! a party for the eyes! They are my dream ornaments! It’s just November but I’m already super excited for Christmas! And I totally love the picture! Pretty AND Random. Great combination! I love this, all the different colors, amazing………(:) I going to reblog this on Steady as I go!